The fastest your FireWire can go. FireWire 800. It's loud. It's proud. It'll carry your digital audio and video at blistering speeds of up to 800Mbps (hardware dependant) with full plug-and-play capability. Not enough? This premium cable has triple shielding on its twisted-pair wiring, so you get maximum cross-talk reduction and the highest transfer rate possible. 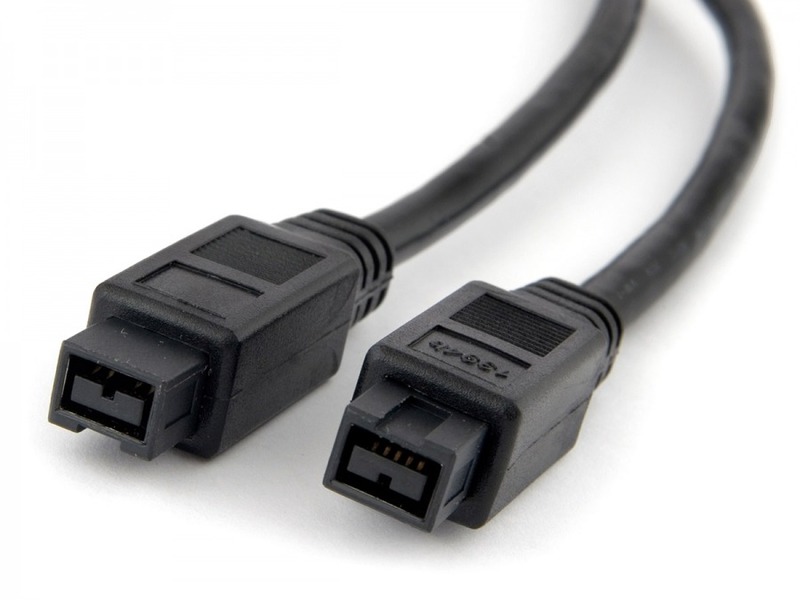 This particular 2m FireWire 1394b Cable 9P to 9P also has you covered with gold-plated connectors that are essential for hooking up your FireWire and i.Link DV devices. Whether it's a camcorder you're downloading from, or an external hard drive you're backing up to; you won't find a faster or more robust digital transfer cable than this IEEE1394b-spec number. Fully optimized for all camcorder, DV and FireWire-enabled AV devices, it's also compatible with Microsoft Windows and Apple Mac computers for error-free transmission. 2 metre IEEE 1394b Specification twisted-pair cable. Both Mac and PC compatible!